If you’re feeling a bit deflated with all this cold weather we’re having then Paddy Power Bingo might have the perfect pick me up for you in the form of their ‘Win £1000s this January’ Prize Draw. There is also a massive Bingo Sale currently running on site where you can get discount tickets every night between 6pm and 8pm in the Sapphire Room. There will be 1p, 2p and 5p BOGOF games, 2p and 5p Last Chance Saloon games, 50p Fair For All Games and loads of free bingo games too! There’s double good news for the slot lovers out there as Paddy Power. Firstly, they have a Celebrity Big Brother Slot with Progressive Jackpot to celebrate the current series which is also the last and there’s also the Clover Rollover which now has a prize of more than £1 million! 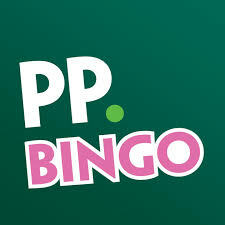 Make sure you pay Paddy Power Bingo a visit this month and take advantage of their sale prices and huge prizes!